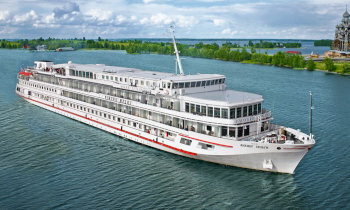 View all Viking Helgi cruises by clicking the ‘Cruises’ tab above, view our handpicked selection of Viking river cruise deals, or view more options for Viking River Cruises. Need help? Call our river cruise experts on 13 13 03 or contact us. A prince and a prophet immortalized in Russian literature, Helgi was a Viking of adventure and of legend. In the early 10th century, Helgi inherited the ancient Russian empire Rus founded by Rurik, believed to be his brother-in-law. Take an unforgettable journey to discover the treasures of Russia on one of the very best ships sailing the country’s waterways today. Refurbished for the 2013 sailing season, Viking Helgi, Viking Truvor and Viking Ingvar carry 210 guests in two 400-square-foot suites and 104 spacious staterooms, with those on the upper and middle decks featuring private verandas. All of the accommodations meet the latest European standards of comfort and elegance, with hotel-style beds (except for the two single staterooms) and amenities like 26-inch flat-panel TVs and in-room refrigerators. An expanded restaurant facility and beautiful public areas help make the Viking Helgi, Viking Truvor and Viking Ingvar the finest ships in Russia. We have high standards for the English-speaking crews on board our ships. 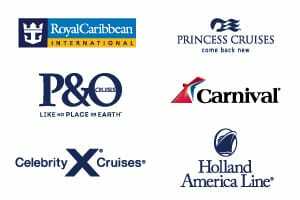 We personally recruit all of our staff members, from your stateroom steward and waiters to hotel managers and Program Directors. Proprietary training programs are implemented by our Swiss management team to ensure we always provide the level of service you would find in a fine hotel. The Viking team brings you a level of expertise other companies cannot match. Best of all, there is no need to do research or make arrangements in advance. 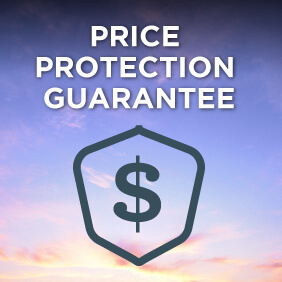 We take care of all the details, transportation, reservations, entry fees and more. You return home enriched with wonderful memories. While you are aboard Viking Helgi, you enjoy a myriad of services, from shipwide Wi-Fi service to laundry to complimentary bottled water. An onboard daily newsletter, Viking Daily, featuring information about daily activities, shore excursions and tour departure times is delivered to your stateroom every evening. These in-depth experiences are included as an essential part of discovering more about the places through which you cruise, and each activity is planned specifically to illuminate each itinerary. Our chefs create a variety of tasty offerings for you, with freshly prepared seasonal local vegetables, European specialties adapted to satisfy the tastes of our passengers, and homemade soups prepared daily. For breakfast, choose from our selections of pastries, cereals, breakfast meats, fresh fruit and selected cheeses. Or you may prefer a hot dish, such as an omelette prepared to order. At lunch, select from the soup and sandwich bar, or a choice of entrees and dessert. And for dinner, you are treated to a five-course gourmet menu with regional specialties. You can also select from our regional wines to perfectly complement your meal. And wherever you sail, you will find enhancements reflecting your itinerary-it is all part of experiencing the local culture.